The keep at the heart of Winterdale is called the citadel and it boasts some of the city’s most impressive defenses. 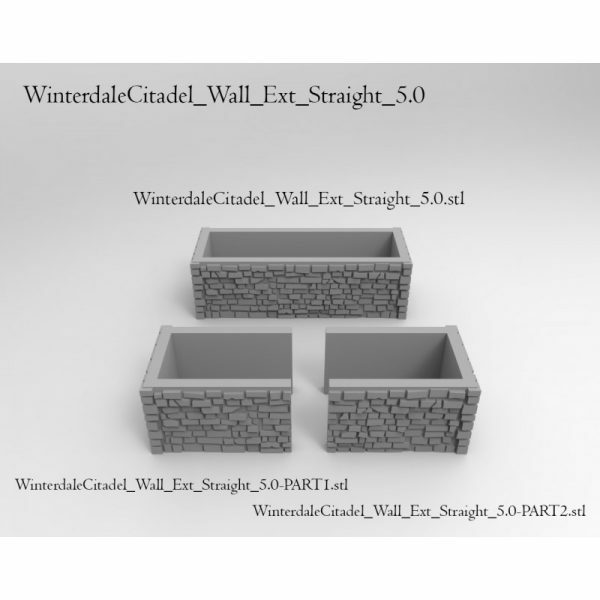 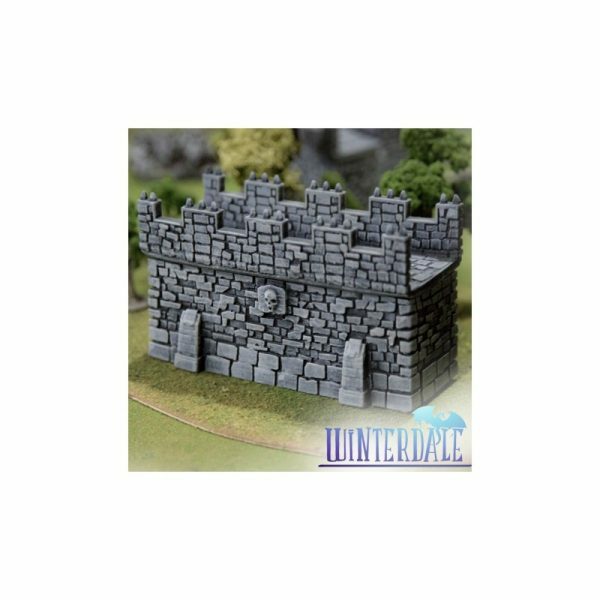 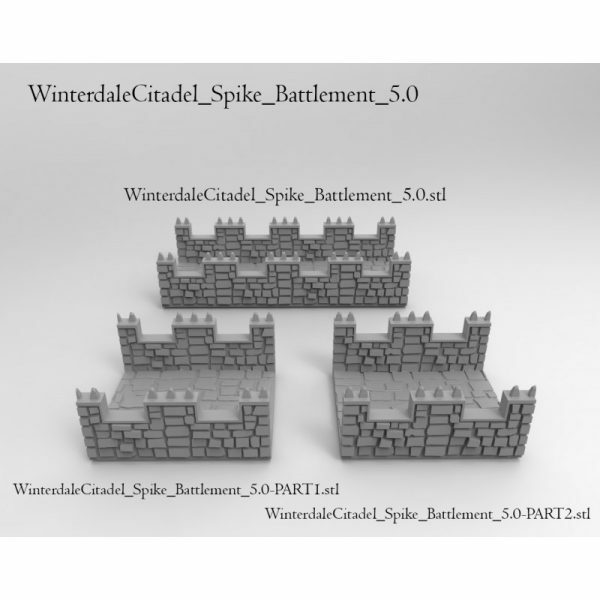 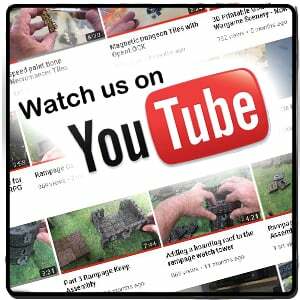 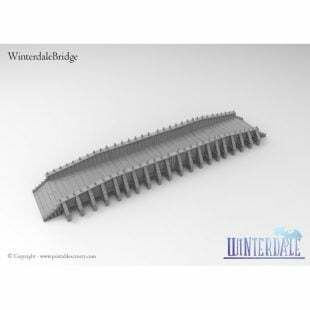 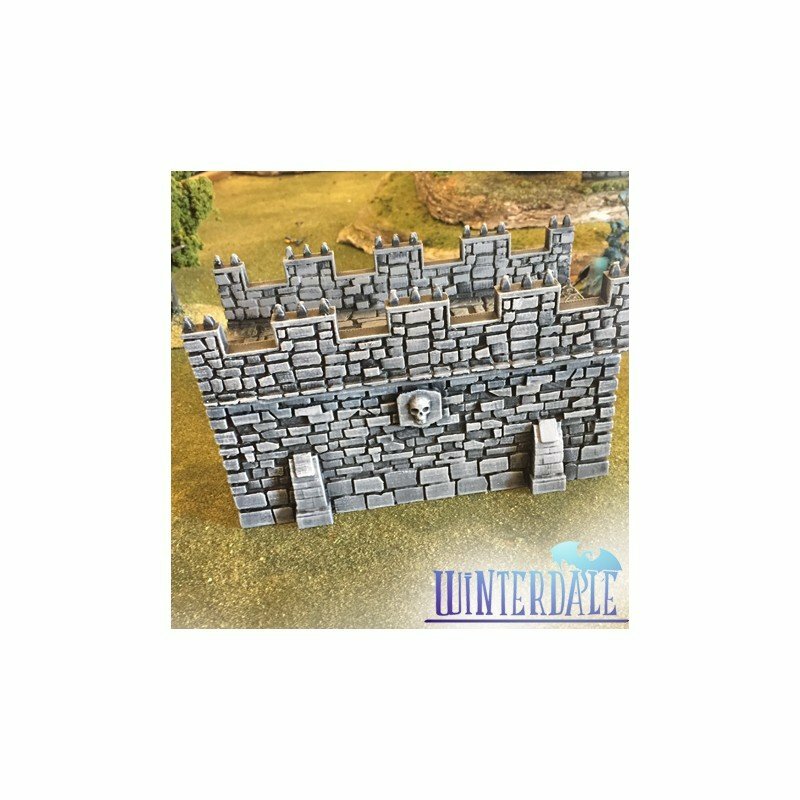 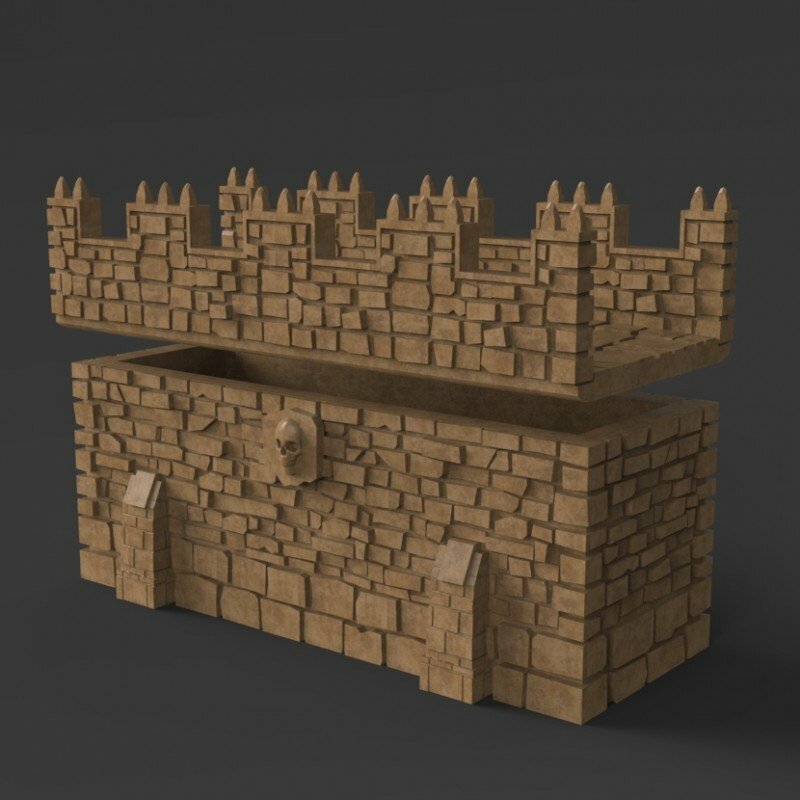 The Winterdale Citadel Wall pack contains a castle wall and balustrade section that is compatible with all the Winterdale Citadel Towers. 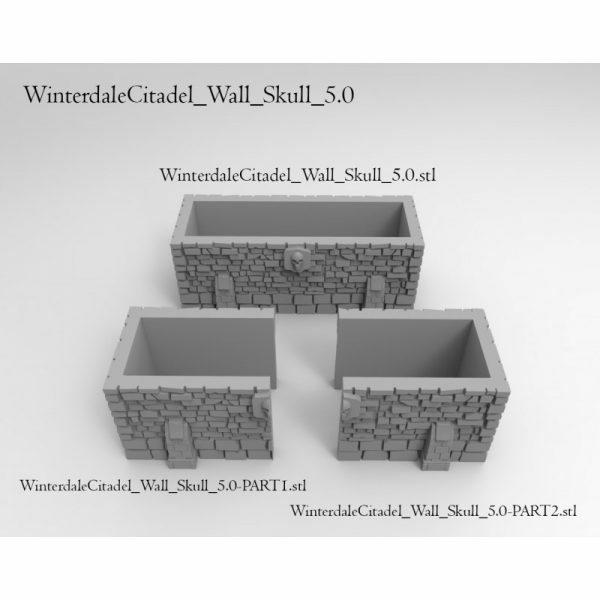 The pieces print without supports and the pack includes an option without skulls. 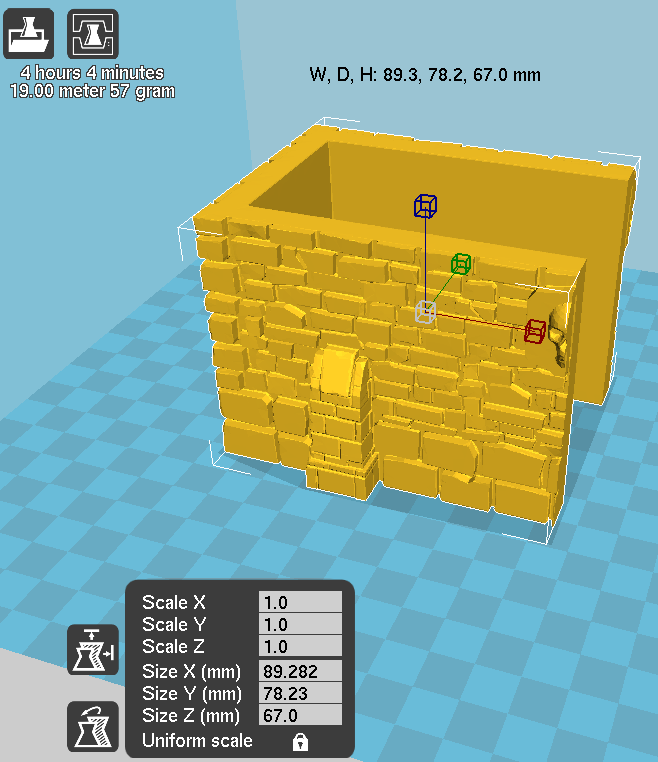 Also included is the option to print the wall as two pieces. 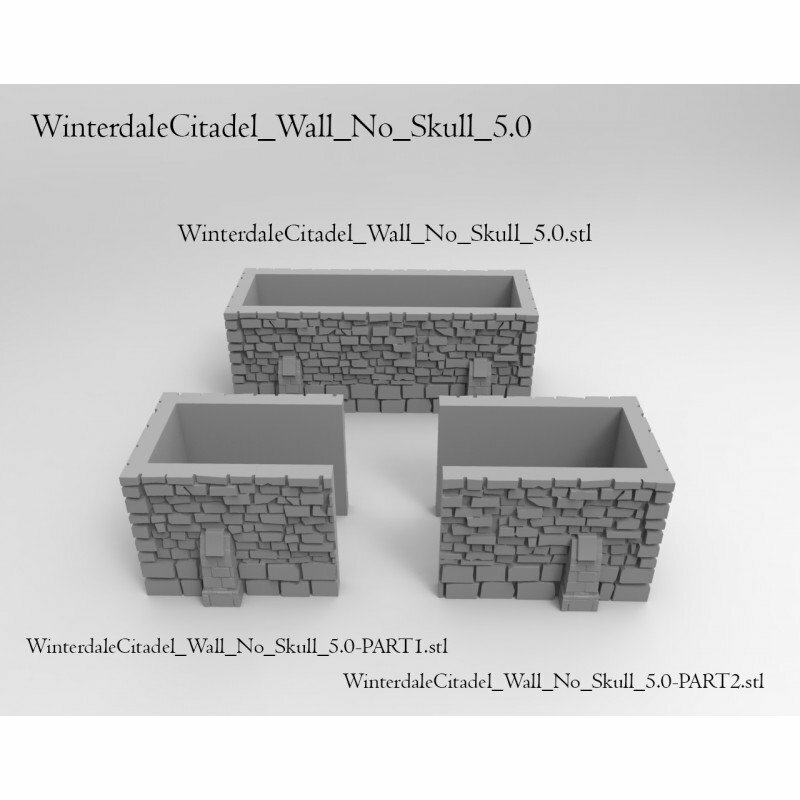 5.1 Options without skulls now included. 27 April 2017 – 5.2 Includes solid Citadel Walls. 25 July 2017 – 5.3 Small mesh repairs made to WinterdaleCitadel_Wall_Skull_5.1, WinterdaleCitadel_Wall_Skull_5.1-PART1, WinterdaleCitadel_Wall_Skull_5.1-PART2. 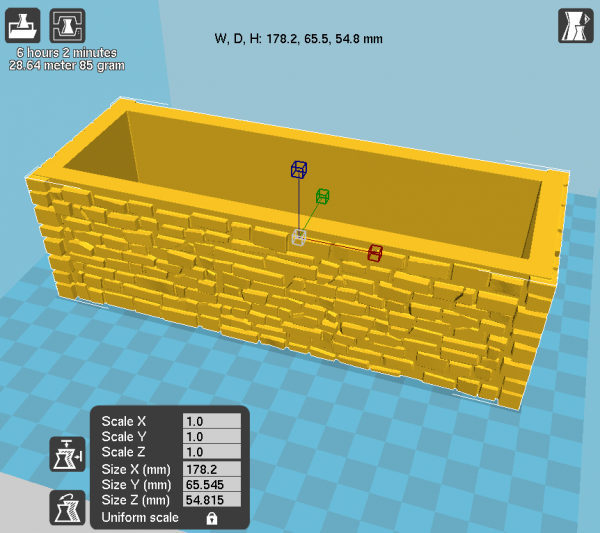 8 November 2018 – 5.4 Slight adjustments made to wall lengths. 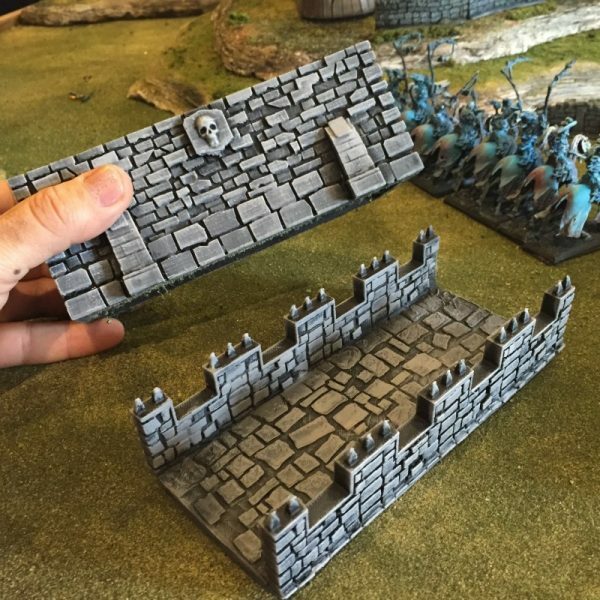 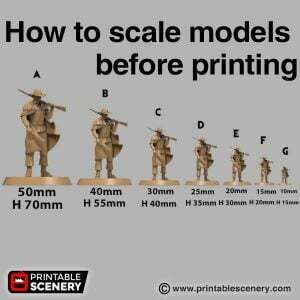 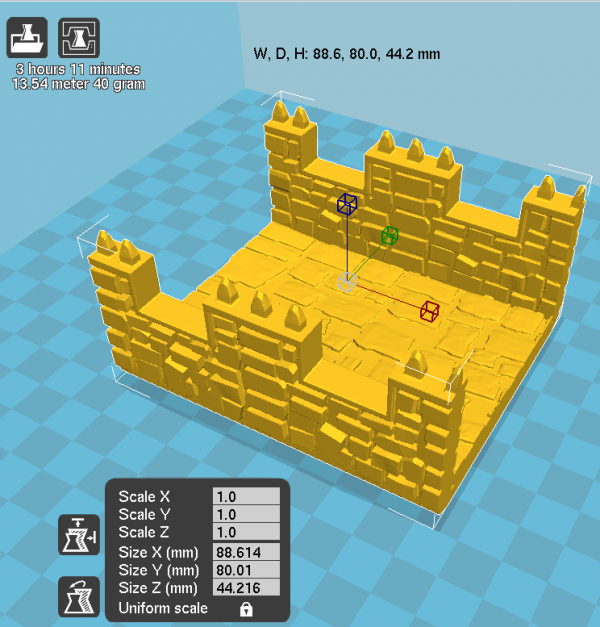 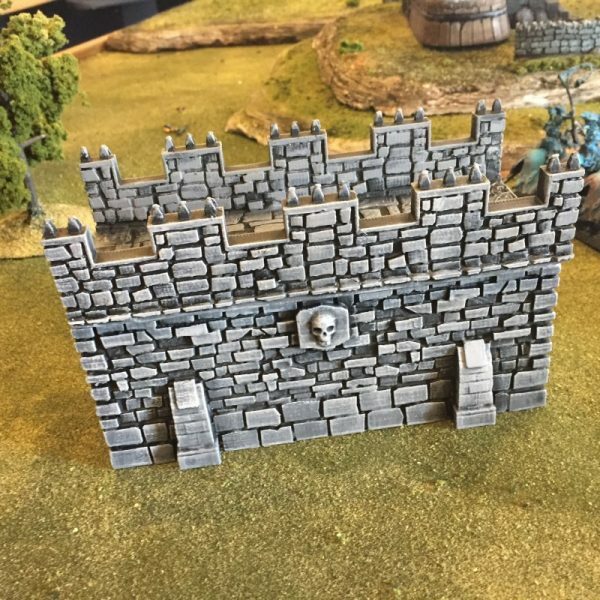 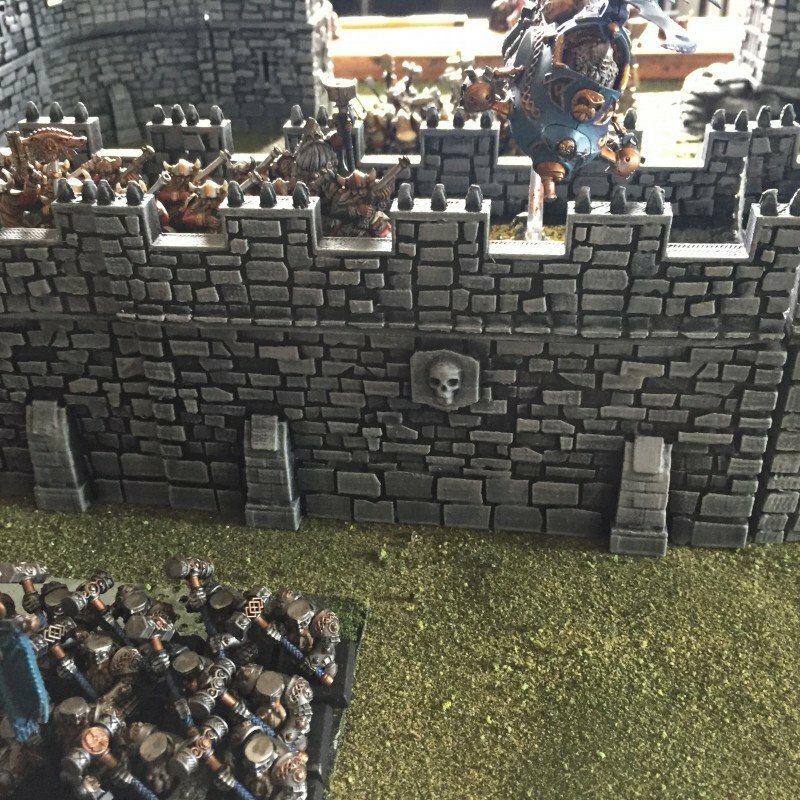 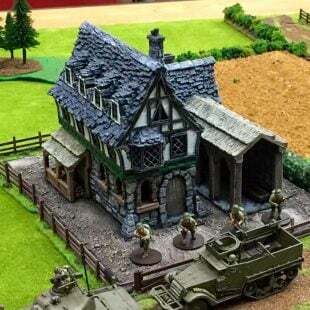 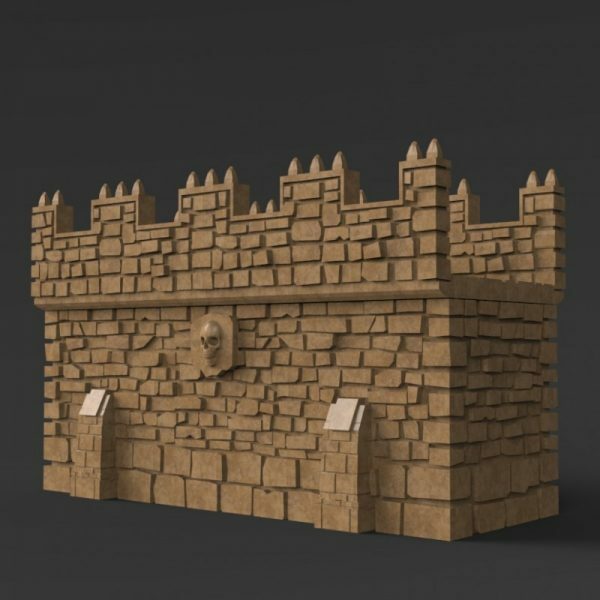 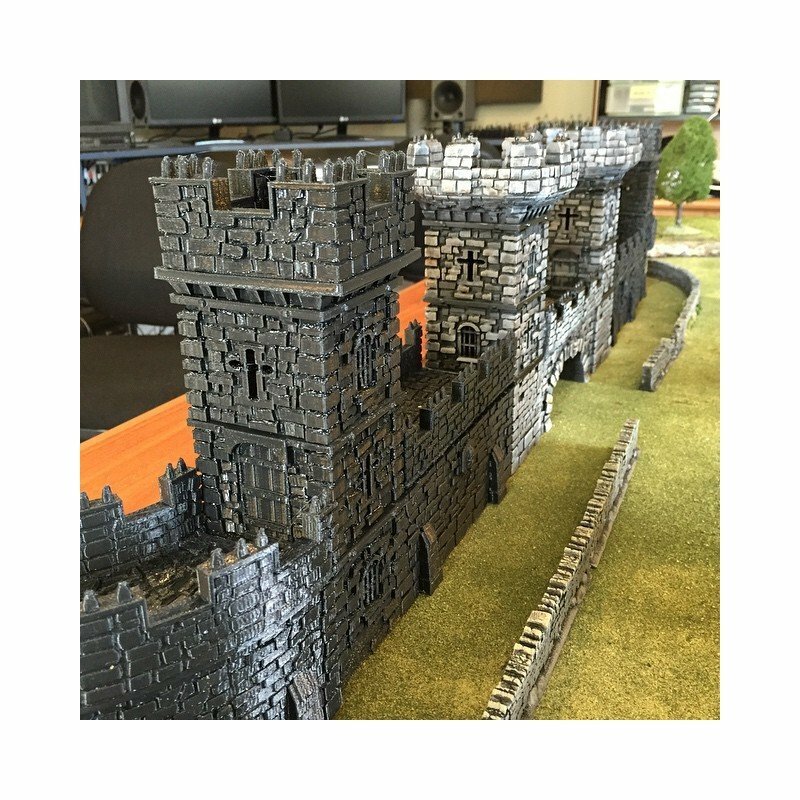 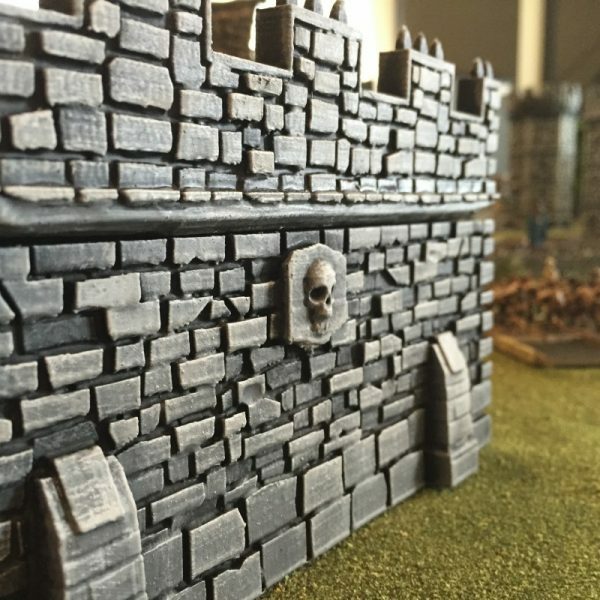 I am assuming that the reason the battlements and crenellations are a couple of mmm shorter than the wall itself (when printing in top and bottom parts) so as to make a more seamless attachment to the towers?